I LOVE summer. You’re going to hear me say it again and again because it’s truly my favorite time of year. One of the things I enjoy most on a warm, summer day is a fresh, crisp salad. While all of the veggies I have growing in my patio garden aren’t quite ready yet, I am taking advantage of some of the gorgeous lettuce that is! 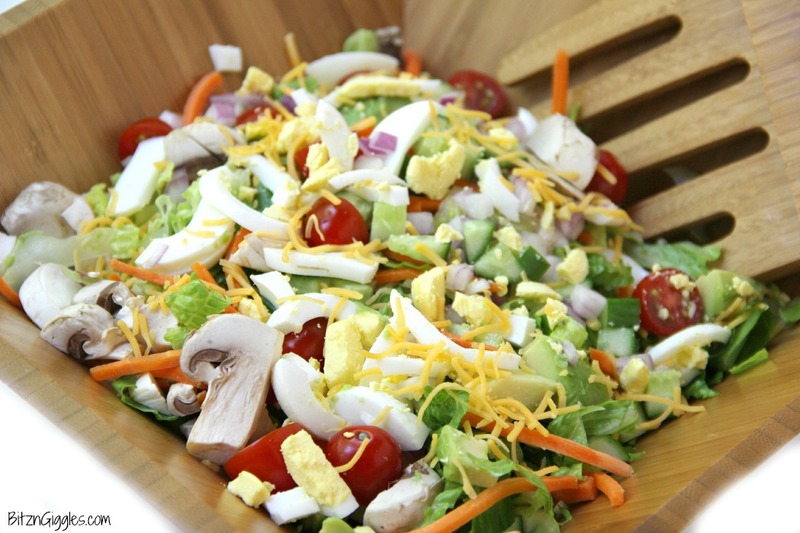 One of the best salads you can make in the summer is a chopped salad. 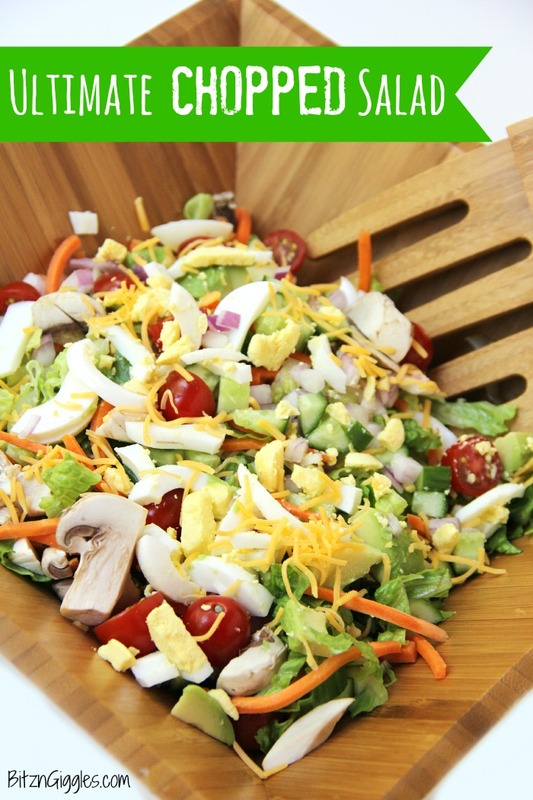 It incorporates so many fresh veggies, and I love the crunch of the crisp, green leaves. I like to combine lettuce from my little garden along with some crisp romaine hearts. Perfect combo. 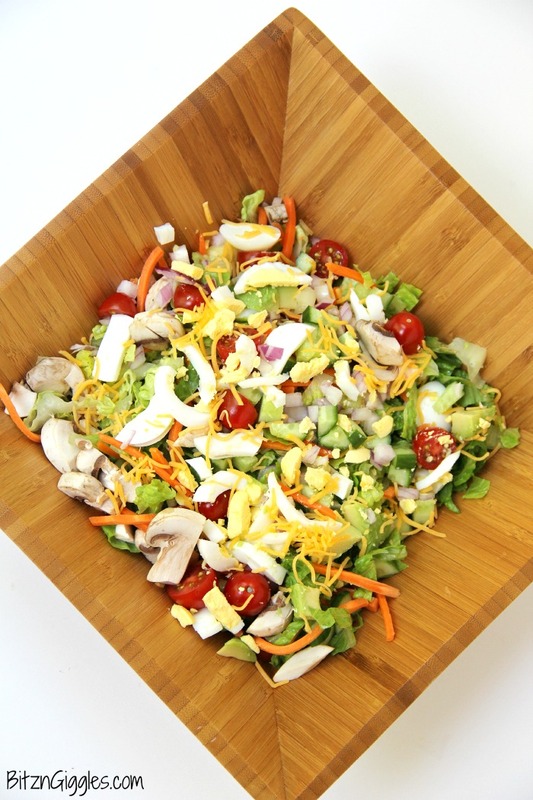 Chopped salads are just a whole lot of goodness all together in one bowl. 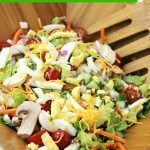 For my Ultimate Chopped Salad, I throw in avocados, hard boiled eggs, grape tomatoes, mini cucumbers, mushrooms, carrots, red onion and shredded cheese. 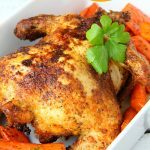 Go ahead and include some cubes of cooked chicken or sunflower seeds if you like, too. So, let me tell you what. Chopped salads were given their name for a very good reason – there’s a lot of chopping to be done. Believe it or not, it actually does go pretty fast if you have all of your ingredients in front of you and a system in place for cleaning your cutting board and knife in between veggies. Clorox recently came out with Green Works Pump ‘N Clean. 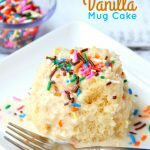 Have you seen this stuff yet? Green Works Pump ‘N Clean is food-safe so you can clean your knife in between chopping up different fruits or veggies. . .heck, you can clean off your cutting board, too! I normally chop up everything on a cutting board standing by my kitchen island. It’s a pain to have to run to the sink to rinse off the knife and the cutting board between each new vegetable. It’s great for cleaning inside refrigerators and microwaves, too! The pump is specially designed for one-handed cleaning, and that’s important when you’re busy in the kitchen! All you do is dispense the cleaning liquid on your rag or sponge with a single pump, wipe and get onto chopping the next veggie! I made a REALLY short 3-second video for you just so you can see how it works! 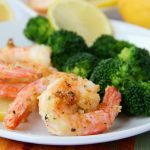 Note: While Green Works Pump ‘N Clean is perfect for when you’re working with fruits and veggies, it’s not recommended for use with raw fish or meat. After you pump, you clean – whether it’s a knife, dish or a surface! So where do you find this miracle cleaner? I found mine at Target in the natural section of the cleaning aisle. I love browsing through all of the natural cleaners when I’m in the store. I’m amazed at the variety! 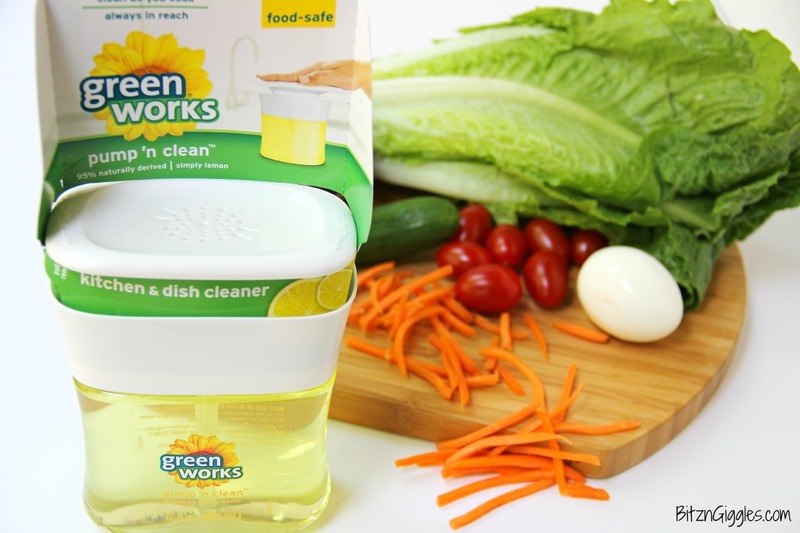 In addition to Pump ‘N Clean, Green Works carries an entire line of natural products like cleaning wipes, dishwashing liquid, all-purpose cleaners and more! If you’re new to natural cleaning products, here’s what makes the Green Works line so great. . .
Come from biodegradable ingredients that are naturally derived. Are acknowledged by the EPS’s Design for the Environment program. My friends and family are starting to ditch their old cleaners for natural cleaners left and right. There’s certainly good reason for it, and with all of the options available today, why wouldn’t you? So, back to this salad. . .it’s quite a beautiful presentation once you put it all together. The grand finale is the dressing. I love using my Homemade Buttermilk Ranch Dressing to coat each and every veggie and piece of lettuce in this salad. YUM!! Dig right in. It’s SO worth it! 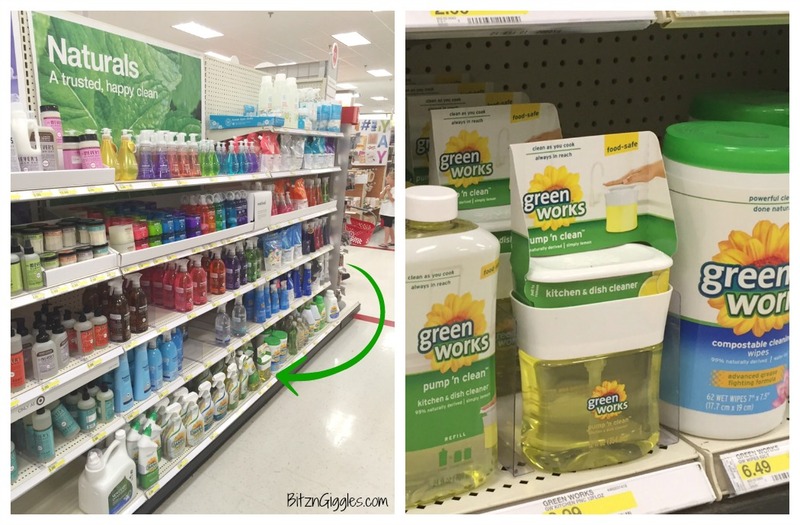 Oh, and don’t forget to run to your nearest Target store and pick up some Green Works Pump ‘N Clean! From now – July 11, use the Target Cartwheel app to save 10% on all varieties of Green Works products (including Pump ‘N Clean). 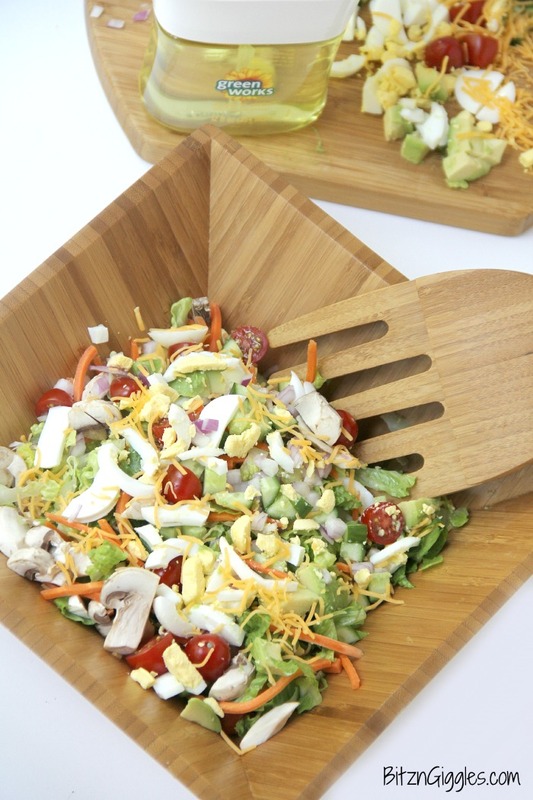 A delicious, crisp chopped salad with loads of fresh veggies, perfect for serving up in the summer after a visit to the farmer’s market! 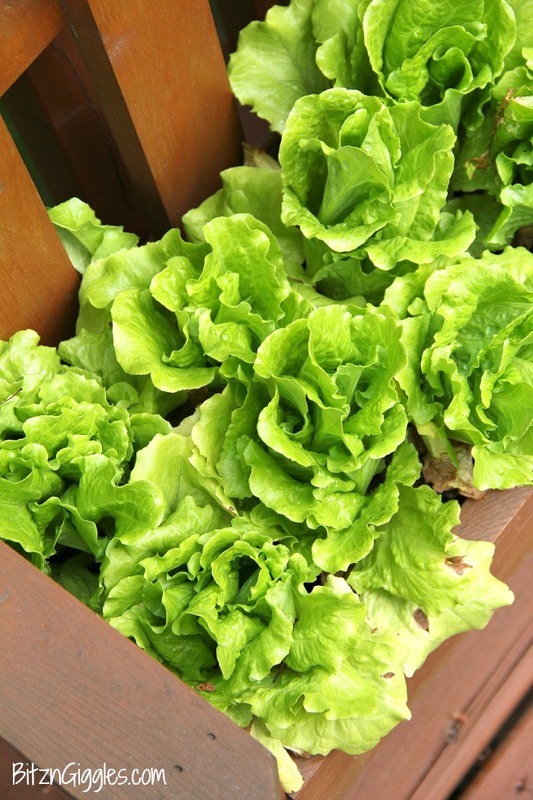 Chop up the lettuce into small pieces and place into a large mixing bowl. Add the rest of the fixings and toss with dressing of your choice. 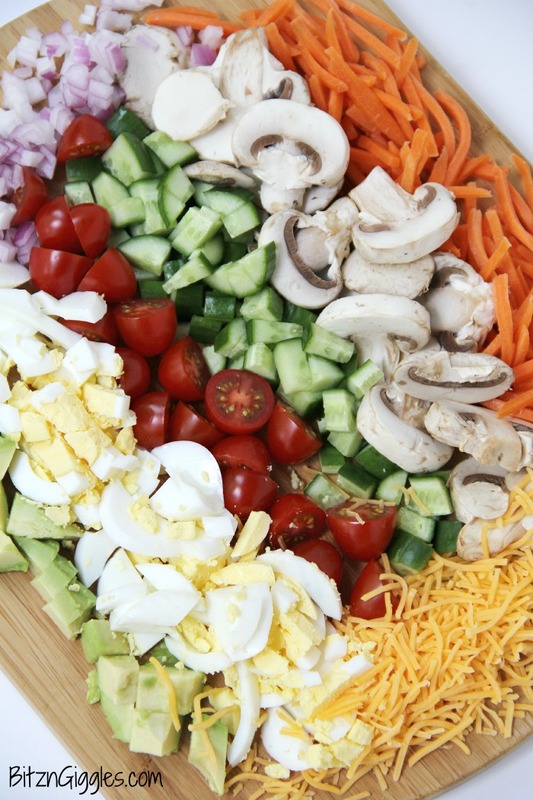 Transfer the salad and the fixings to a large salad bowl and serve immediately. 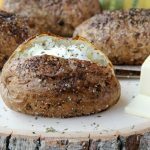 Serve with my Homemade Buttermilk Ranch Dressing for delicious results! I hope you try it, David! Fresh salads are the best in the summer time!